The 2015/16 NHL Trade Deadline has come and gone with the three New York/New Jersey area teams with most of them making a splash in the market. Here is how they fared. 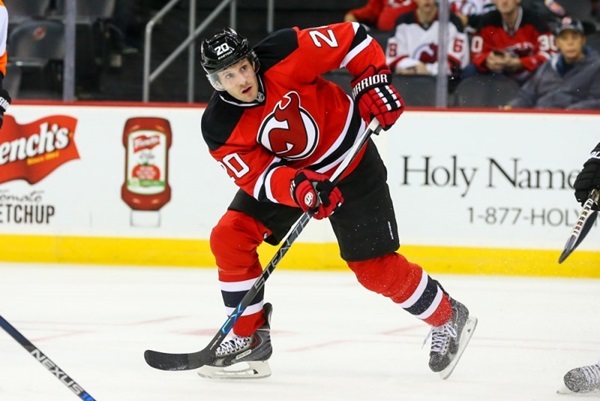 As the deadline drew nearer, and it became apparent that far fewer of the big names rumored to be on the market would be dealt, the Rangers, pre-deadline day acquisition of Eric Staal for a pair of second rounders and prospect Aleksi Saarela began to look better and better. The Blueshirts nabbed arguably the best player on the market, undoubtedly fortified their front line, and paid a price lesser than what Chicago surrendered for Andrew Ladd. In short, in a market where even journeyman Lee Stempniak costs a second and a fourth, if you grab a former all-star without surrendering a first rounder or a top prospect, you did okay. All that being said, the 19-year old Saarela does have significant offensive upside (18 goals in 46 games in Finland’s top pro league this season), and if Staal doesn’t put the Rangers over the top, and then likely bolts the cap-strapped Blueshirts in free agency, this could be a classic wish-we-had-a-mulligan deal five years down the road for the Rangers and first year GM Jeff Gorton. But for a team gearing up for one last run at a cup with the current core group, and clearly in win now mode, the move made sense, and represented an upgrade. Does it make them the favorites to come out of the east? Not even close, but they’re closer to beating Washington than they were last week. 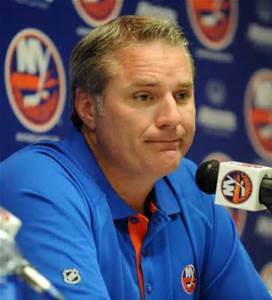 Garth Snow has been known to be active at the deadline, once memorably acquiring and then trading away Thomas Vanek all in a matter of months. But the Boys from Brooklyn were surprisingly quiet as the deadline neared, only making one trade involving NHL players, as they acquired Shane Prince and a seventh rounder from Ottawa in exchange for a third-round pick. Prince has some upside—he’s just 23 and has posted strong numbers in the AHL, without ever getting a fair shake at the NHL level—but to call the deal unspectacular would be an understatement. The Islanders flirted with reacquiring P.A. Parenteau from Toronto, but ultimately chose not to pay the price of a second-round pick for the 32-year-old rental. Parenteau would not have made a massive difference, and the Islanders merely need to snap some of their most talented offensive players from their doldrums (Tavares, Okposo, Lee, Strome…the list goes on) to once again be amongst the NHL’s most potent offensive teams, but the lack of depth on D for a team that is always one injury on the back end away from disaster wasn’t addressed, and neither was the fact that something just feels…off about this group. They’ll make the playoffs, sure, but if ever there was a team in need of a shot in the arm in the form of a big trade, it’s the Islanders. Give Garth Snow points for not panicking and flipping pending UFA Kyle Okposo for spare parts, but still, more could’ve been done here. Despite being kinda-sorta-but-not-really still in the playoff hunt, Ray Shero chose to sell in the Devils first post-Lou deadline. Smart choice. Instead of overplaying their hand and surrendering young assets for a rental in a last ditch attempt to make a run, Shero instead turned the well-traveled Lee Stempniak—who was jettisoned by the Rangers last year for next to nothing—into a second and a fourth, Eric Gelinas, who had fallen out of favor on a crowded blueline, into a third, and shipped out first-round bust Stefan Matteau in exchange for another struggling young player in need of a change of scenery in Devante Smith-Pelly. Shero knows the best way to build a franchise is through the draft, and all in all, it wasn’t a bad haul for three players that likely had no future in the swamps of Jersey.